Add this Artistic Weavers Taintrux area rug to your hallway, dining room, or living room for an infusion of style. Designed to decorate an indoor space, this plush wool material rug is high quality. Make a lasting style statement with this hand-made rug. Quality is assured with this geometric patterned red rug. 3 ft. 3 in. X 5 ft.3 in. Modern and stylish, this Anglo Oriental Daphne area rug is a quality accent piece. Quality meets modern style in this indoor rug made out of plush wool material. Bring this hand-made rug into your home for a durable interior design option. Bring this floral plants patterned red rug into your living spaces for a contemporary design aesthetic. 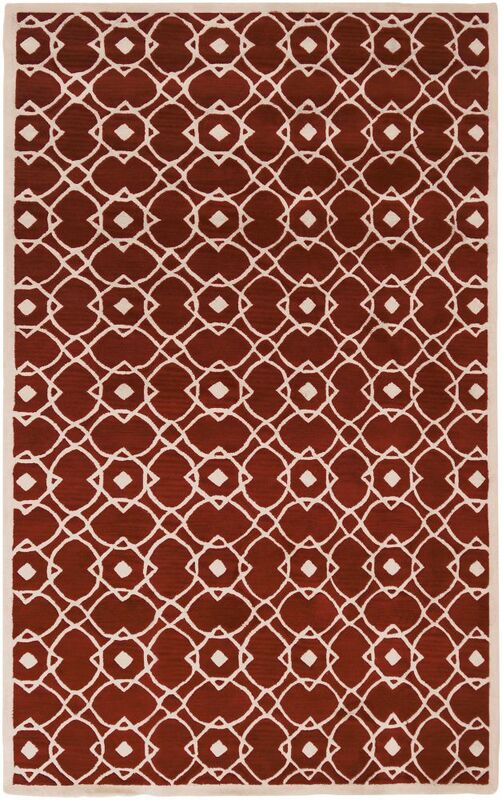 Taintrux Red 3 ft. 3-inch x 5 ft. 3-inch Indoor Contemporary Rectangular Area Rug Add this Artistic Weavers Taintrux area rug to your hallway, dining room, or living room for an infusion of style. Designed to decorate an indoor space, this plush wool material rug is high quality. Make a lasting style statement with this hand-made rug. Quality is assured with this geometric patterned red rug.